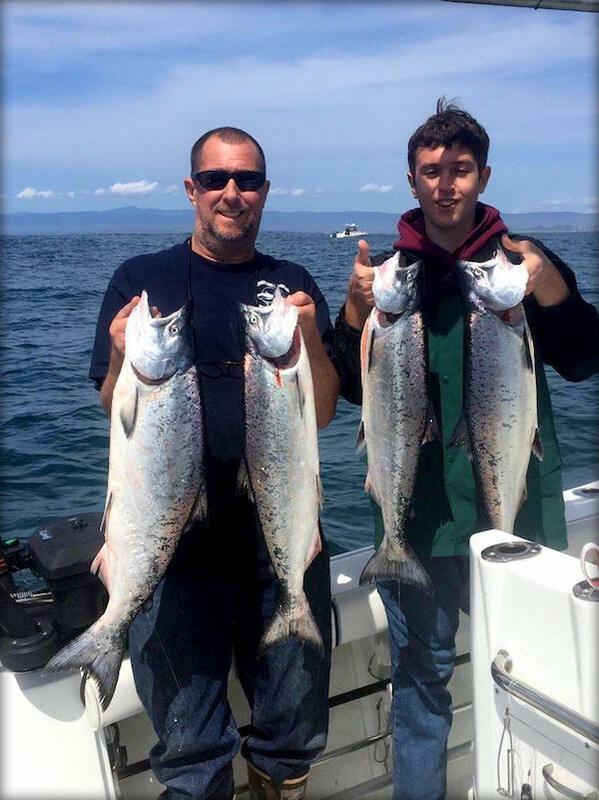 Shane Baxter and his dad, Joe caught their limits of king salmon fishing near Moss Landing on Sunday, They used hot-spot flashers and bait for their hookups. After a very promising king salmon opener, mother nature took over with big waves and high winds. By mid-week, very few boats were venturing out into nasty sea conditions. Good news is, the fish are out there! 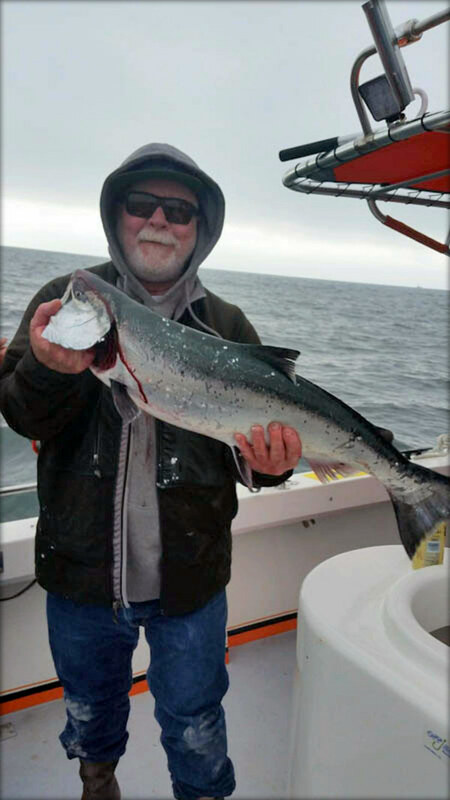 Salmon anglers from across the bay reported mostly limit-style fishing over the weekend and on Monday. Typical in early spring, trolling is the more productive method for finding and netting these wild Chinooks. Todd Fraser from Bayside Marine always gives a good overview on the bite. This week he said “For the opener, salmon fishing was good for some and slow for others. There were a few good scores on the east edge of the Soquel Hole to Pajaro. Sunday the salmon fishing was great on the east end of the Soquel Hole to the Pajaro flats. The majority of the limits were caught trolling 110-190 feet down. The salmon were biting near Mulligan Hill in the same depth of water early this morning.